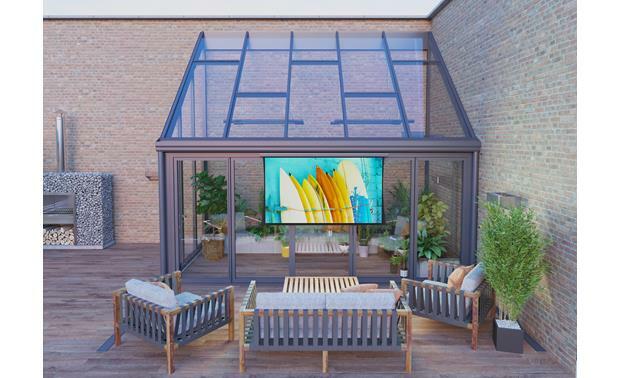 I've often thought how cool it would be to try a motorized screen in my basement theater. By buying this product you'll earn up to 1989 Rewards points. I've often thought how cool it would be to try a motorized screen in my basement theater. But I haven't attempted it because conventional motorized screens can be tricky to install, especially the power and control cabling. So when I learned about Screen Innovations' completely cordless Solo screen, I thought, "Now you're talking!" 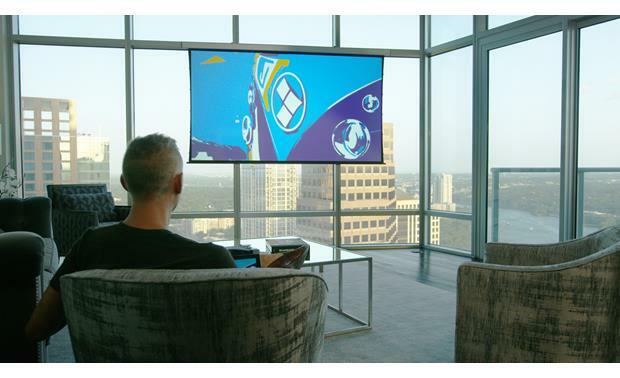 Screen Innovations' fully self-contained cordless Solo screen brings the projector experience to nearly any room. The Solo is the closest thing we've seen to a universal solution for projector systems. Almost any flat, vertical surface will work, and you'll no longer need to cut into a wall or ceiling to run AC power and control cables. The screen's sleek, compact case holds the motor and the lithium battery that powers it. 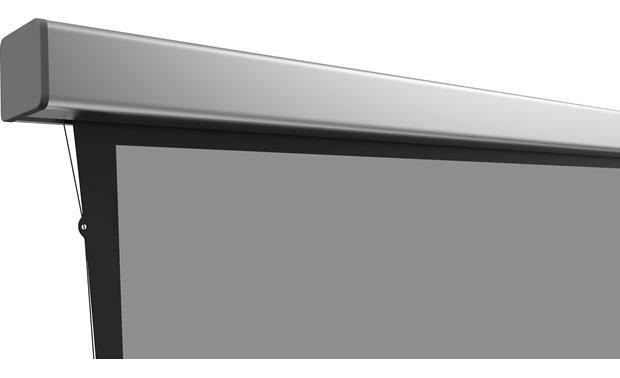 Once it's installed, just touch a button on the supplied RF remote and the screen silently lowers into position. A pair of brackets are included for mounting the Solo. Conventional projection screens require a dark room to produce a vivid, colorful picture. 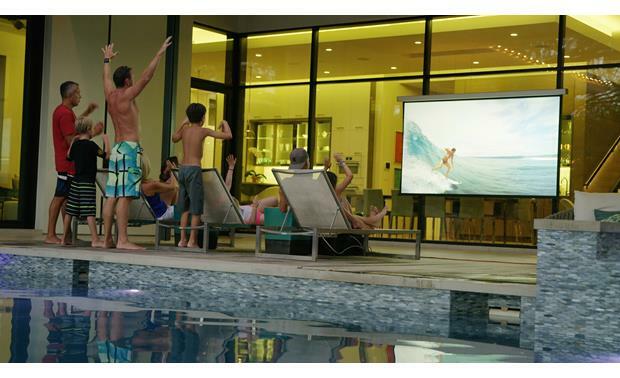 Screen Innovations' Slate® screen material lets you enjoy an outstanding picture even in a room with some lights on. Slate's special optical coatings reject 65% of a room's ambient light, compared to less than 10% rejection using a standard white or gray screen. 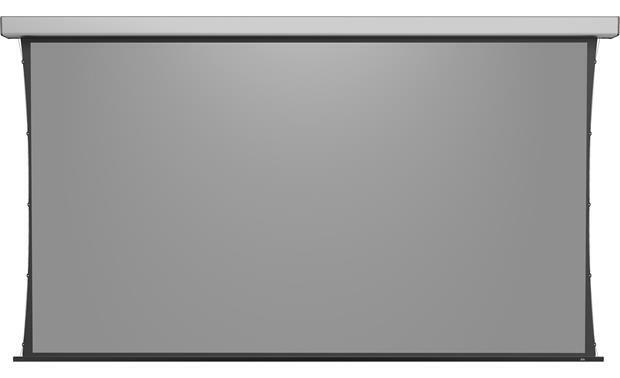 This gunmetal gray version of the Slate material has screen gain of 1.2, which provides a slight boost in picture brightness. This screen features SI's proprietary Micro Texture surface that is nine times finer and smoother than conventional screen materials. That means 4K Ultra High Definition content will look pinpoint-sharp, with exceptional picture depth. 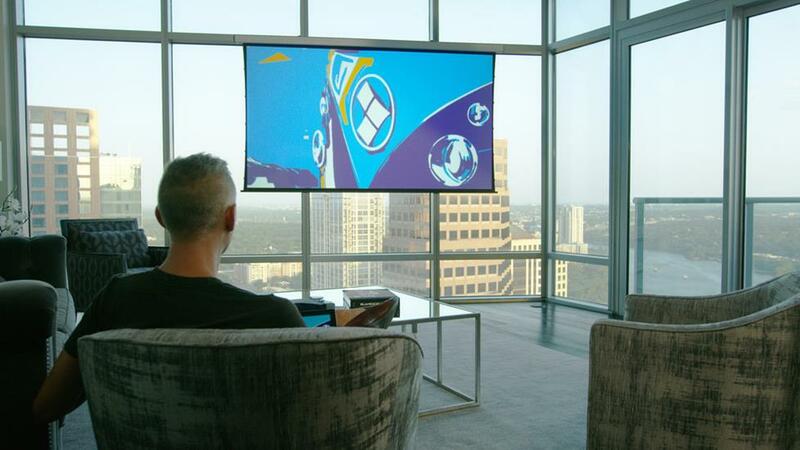 If you're thinking about making the jump to a 4K or 4K-compatible projector, this screen would make an ideal match. In fact, this material is actually rated for 8K video, so that if and when 8K projectors and content ever arrive, you'll be ready. Great build quality and materials. Works exactly as expected! 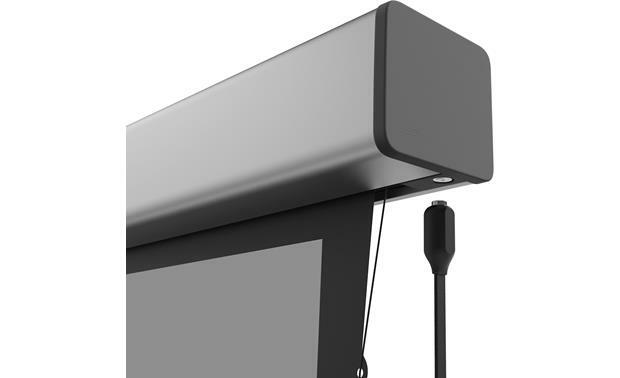 Searches related to the Screen Innovations Solo Cordless, motorized, tab-tensioned projector screen with Slate® gray fabric.